04 Mart 2019 Pazartesi 00:02 - 8 reads. 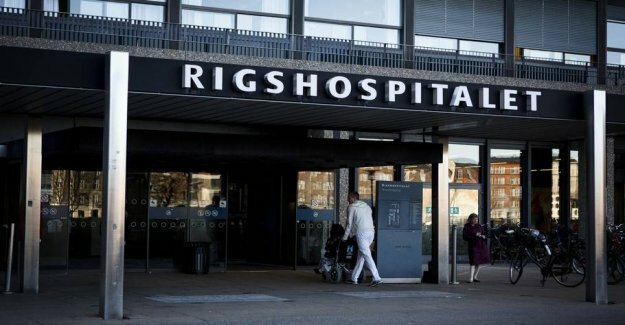 Senior staff at Rigshospitalet in copenhagen has deleted alerts about situations where the patients either have been compromised or potentially could have come in danger. It is The staff who make Reports, if they are experiencing some situations that are dangerous, or could be potentially dangerous. the Alerts are subsequently sent to the Danish Agency for Patient safety, who must learn from the situations. But so far, reached the reports do not. In 2018 were 156 reports rejected by the senior staff. 56 of them are of such a nature, that it should never have happened, says Mark Krasnik, chief physician and risikomanager at Rigshospitalet in copenhagen, to the Danish TV2. the university hospital must now review the deleted alerts, and the responsible managers must be accountable for their actions. the director of Patient safety will investigate all the regions, to see if the rules are adhered to.